This winter I finally succumbed and joined the world of smartphones. It was hard to resist, Instagram looked like so much fun and I could have Pandora for all those long drives I mentioned. Yesterday, our shoot was about an hour and forty-five minutes from our studio and, cruising down the interstates, I could do one of my favorite things: make art and listen to music. 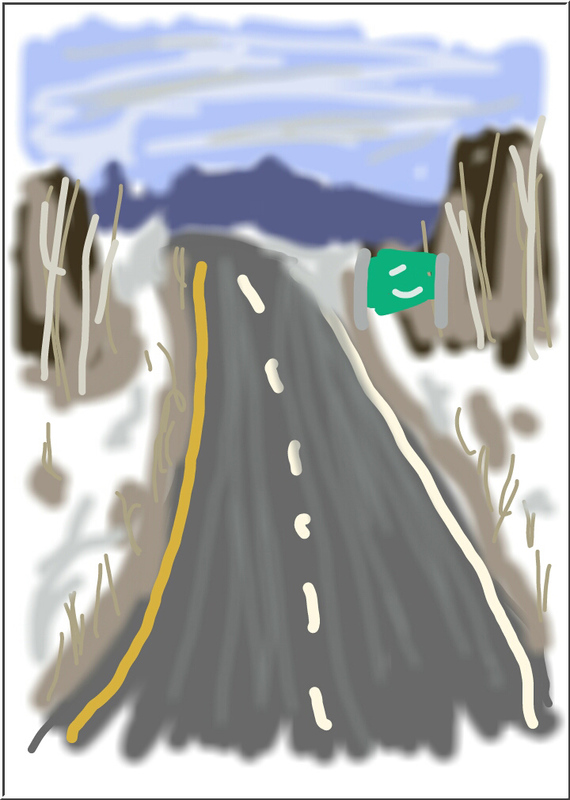 It's a little crude, but here's my "fingerpainting" via a painting app called "Picasso." It shows a lovely snowy stretch of I-79.